As a man, you’re always on the lookout for supplements that will increase testosterone, muscle mass, and libido. Becoming alpha has turned into the primary goal. Your physique will make other men stare in wonder and make women swoon, cheat meals and genetics be damned. You will not be deterred. Crazy male ego aside, there is a supplement out there that can provide you with these benefits, and then some. It’s called D-aspartic acid, a.k.a. your new favorite fitness pal. In this guide, we’ll go over what D-aspartic acid is, benefits and results of taking the supplement, how to dose and cycle, which type to take for the best results, and potential side effects. At the end, we will give you a detailed breakdown of the top D-aspartic acid supplements you can get your hands on today. For the bros who want to learn more, read on! 1 What is D-Aspartic Acid? 2 Is D-Aspartic Acid a Steroid? 6 When Should You Take It? 7 How Long Does it Take to Work? 9 Do You Need to Cycle D-Aspartic Acid? The million dollar question. Turns out, D-aspartic acid is one of the many amino acids that aid in protein synthesis. It’s a non-essential amino acid, which means your body can produce a functional amount of D-aspartic acid naturally. D-aspartic acid is actually only half of the aspartic acid equation. The other half is what’s known as L-aspartic acid. These two forms have different benefits from one another; we’ll focus on D.
This amino acid participates in endogenous (inside the body) testosterone production. The process is governed by the HPTA – Hypothalamus-Pituitary-Testes Axis. It is within these three glands where D-aspartic acid is created through enzymes breaking down proteins. Specifically, D-aspartic acid – also called D-aspartate or DAA – releases hormones in the brain or testicals, telling the body to produce more testosterone naturally. This would be why D-aspartic acid is found in various testosterone boosters and other supplements like that. Is D-Aspartic Acid a Steroid? A steroid is a biologically active organic compound constructed a certain way. Testosterone is one of the major steroids made within the body. The steroidogenic acute regulatory (StAR) protein is present in the HPTA and mediates exactly how much testosterone is produced at any given time. What D-aspartic acid does is stimulate this StAR protein, which increases the amount of StAR. Therefore, the cholesterol allowed into the mitochondria is increased too. This is where steroids like testosterone are produced. So the technical answer is NO, D-aspartic acid is not a steroid. It is a non-essential amino acid that upregulates a protein, which in turn enhances the production of a hormone your body is already making. You don’t produce a ton of DAA in your body naturally, making supplementation a solid solution for extra testosterone. Now that you know a little of the science behind this supplement, you could probably guess what some of the benefits of DAA are. Muscle Building is Enhanced: Weird – muscle website, muscle supplement. With an increase in testosterone, you improve muscle protein synthesis, which results in lean muscle mass. Plus, it limits cortisol, the stress chemical that adds abdominal fat and breaks down muscle tissue. Sperm Count is Elevated: Male fertility is greatly affected by DAA. Sperm count and motility is increased, which creates an enhanced libido and higher chance of pregnancy with your partner. Energy Levels Increase: Another benefit to having additional testosterone, you get better sleep. This means optimal recovery and extra energy during the day. Also, the higher testosterone translates to a higher red blood cell concentration, which is more oxygen delivered to the muscles. Psych Levels of Compounds are Heightened: More testosterone is not the only thing D-aspartic acid does. It also increases growth hormone (HGH) and insulin-like growth factor 1 (IGF-1). These all have positive impacts on many areas of human production, such as athletic performance and sexual ability. Higher Production of Thyroid Hormone: If DAA is oxidized in the thyroid gland, thyroid hormone production increases. This affects your metabolic rate, jacking it up to higher levels. You burn more calories, you get leaner, you win. Of course, these benefits will only occur if you supplement D-aspartic acid properly, with correct doses, frequency, and cycling (more on these later). However, while there are biological processes at work here, it’s not to say that this works 100% of the time. Will taking DAA help you lift more? Actually, there isn’t much research into DAA and strength training. Any claim that D-aspartic acid improves your lifts will be anecdotal at this point, which means it might not give you the same results. Will it help with weight gain? Again, no scientific evidence. Biologically, DAA should alter your body composition in some way, but the lack of research makes it more like a wild guess. Does DAA enhance male fertility? There’s some research that backs this claim up. However, it’s weak and could vary from person to person. Is DAA better than other testosterone boosters, like DHEA or Tribulus Terrestris? Due to the lack of studies, it’s tough to say D-aspartic acid is inherently “better” than other, highly-tested supplements. When it comes to asking your doctor or other medical professionals, it’s doubtful they’ll recommend DAA over DHEA, Tribulus, or any stronger-studied supplements. While this is the case, there are multiple anecdotal pieces claiming the effectiveness of DAA. The only way to know for sure is to test it out for yourself. By tweaking the dosage and cycling based on your goals, you’ll be able to see whether you’ll get results fairly quick. It’s best to avoid taking DAA at all if you aren’t male, over the age of 21, or dealing with excess levels of estrogen. However, if you’re a guy, over 21, have low libido, or are looking for a natural route to endogenous testosterone production for anabolic purposes, DAA just might be the key. The overall range of dosage is 3-20 grams. When you start out, do so with the low side of this range (i.e. 3 grams). Never exceed 20 grams, as this is too high for most individuals. The optimal range for DAA is actually 5-10 grams daily. Split your dose up between morning and evening, especially if you’re taking more than 5 grams. Or, if you want to see how your lifts are affected, take half before your workout and half before you head to bed. If your diet and workout regimen are both on-point, you should expect drastic, significant results in 1-2 weeks. D-aspartic acid comes in both powder and pill form. Which one is better for you though? Honestly, the biggest differentiator is going to be preference. Would you rather take DAA as a capsule or in water as a powder? Cost: Powders usually cost less per serving than pills do. Travel: Pills are easier to tote around in a gym bag than a tub of powder. Taste: The top reason why some people prefer pills; how good does your DAA powder taste? Doses per bottle: Companies pack more pills – and more doses – in a bottle than powder due to more space. Based on price, convenience, taste, and amount, you can get a decent idea of which type of D-aspartic acid you should use as your go-to supplement. Do You Need to Cycle D-Aspartic Acid? In short, yes. The best cycle is to be on DAA for 2-3 weeks, followed by a 1-2 week hiatus from the supplement, then repeating. During the “on” portion of the cycle, split up your dosage during the day. Follow your nutrition and training routines to the best of your ability. During the “off” period, make sure you take vitamins to reestablish your body’s homeostasis. This cycle is vital to bodybuilding performance and overall health because this keeps the supplement potent when ingested. Also, it helps you avoid altering your body’s chemistry, such as shutting down natural anabolic processes that create testosterone. Unsuppress your body’s systems and maintain tolerance for DAA by cycling quickly and often. Since DAA is a non-essential amino acid that’s already made in the body, you aren’t harming your body by pumping it full of pharmaceutical compounds. However, even though they aren’t anabolic steroids or prohormones, it raises testosterone and other hormones. Therefore, there are potential side effects, especially if you cycle DAA too long or take too much in a daily dose. Increased dihydrotestosterone levels; this could increase acne and result in hair loss. Additional estrogen levels; this translates to bloating, prostate issues, inhibited libido, and possibly gynecomastia (note: this won’t happen if you cycle DAA correctly). Adversely affects the kidneys and liver; because of extra DAA, organs that handle the production of testosterone work overtime, which can cause inflammation, damage, or fatigue. Unhealthy cholesterol changes; this is a result from negatively-affected kidneys and liver. Obviously, high cholesterol has its own slew of problems, including risk for heart disease. Like we previously mentioned, if you cycle properly, the majority of these side effects won’t have a chance of happening. Though the first one – hair loss and acne – could still occur. Monitor body changes when on a cycle of DAA and see whether you need to adjust the dose, cycle length, or not use it at all. First up on our list is a favorite brand: BulkSupplements Pure D-Aspartic Acid Powder. With this supplement company, you know exactly what you’ll be getting, which is quality products that produce fantastic results. Their DAA powder is exactly that – D-aspartic acid and nothing more. No added ingredients, creating a pure formula with no adverse effects. Of course, this makes the powder taste awful, but the cool thing is you only need 3.5 grams (roughly 0.5 tablespoons) daily to get the desired results. It comes in three different sizes, ranging from 71 servings to over 1,000 servings. Clean powder, factory-sealed foil zip pouch, and lab-tested for guaranteed purity. If the goal is to boost testosterone levels and scrap all of the extra noise, BulkSupplements has got your back. One of the pill versions of D-aspartic acid on this list, KOR Naturals comes swinging with their amazing testosterone supplement. For a capsule that gives you all DAA and none of the fluff, this is for you. The only other ingredients in this formula are gelatin and magnesium stearate, which are the gel capsule and a salt known to lubricate DAA throughout your system, respectively. Each pill packs 0.75 grams, making a full serving of four pills 3 grams total. Of course, this is low, so you can do this twice daily: four pills in the morning, four at night. This makes you cruise through capsules, but fear not; a bottle brings you 120 pills, getting you through two weeks of a cycle. Another no-nonsense DAA supplement that gives you all of the good stuff and none of the bad, KOR Naturals D-Aspartic Acid capsules are a tremendous choice. Next up is another pill style of D-aspartic acid, this time from the bros over at NutriCost. 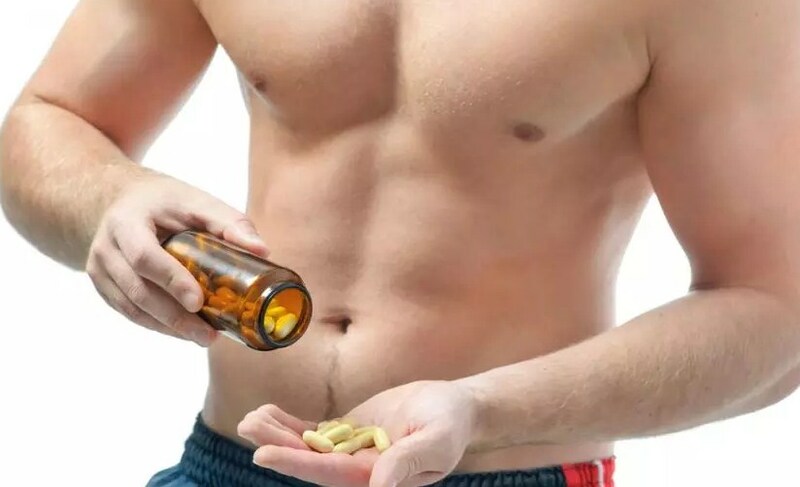 Very similar to the one above, this DAA supplement will get you the testosterone-boosting effects you want without much difficulty. NutriCost capsules are also made out of gelatin and magnesium stearate, and each serving is 3 grams with four pills (0.75 grams per pill again). The sole difference – other than brand – is bottle size; instead of 120 servings, NutriCost gives you 180 pills per bottle. This adds up to 45 of their serving sizes or – if you double it to 6 grams daily – over 22 servings, which will last you three weeks. Non-GMO, gluten-free, made in the U.S.A., NutriCost DAA capsules are a great option for those who covet travel-friendly supplements with tons of value per bottle. Last up is our second powder supplement on the list, from Micro Ingredients. Just like the other powder, this is pure D-aspartic acid, with zero additives and no extra ingredients. Each scoop (provided) nets you 3 grams of DAA, and the bag is filled with a whopping 166 servings. If you double to 6 grams daily, that’s still 83 days of D-aspartic acid, which can get you through 4-6 cycles. They claim to boost testosterone, elevate sperm count, and improve energy levels with their high-quality DAA formula. You want to get your supplement once and be set for a while. For convenience and value, it’s ideal to go with Micro Ingredients Pure D-Aspartic Acid Powder. D-aspartic acid could be the key to your testosterone troubles. A non-essential amino acid that’s already in your body, supplementing DAA keeps you safe from other anabolic steroids, upregulates the production of growth hormones, and elevates your energy and sperm count. While results vary across the board, the sole way to know for sure if D-aspartic acid is right for you is to test it in the field. Make sure you dose, time, and cycle correctly, as shown in this guide. It doesn’t take long to get the desired effects if it does indeed work, so be just as fast with your supplementation. Find out whether you prefer pills or powder, brush up on the potential side effects, and research our top products list. With D-aspartic acid, you could become the topic of envy at your gym and up your physique to never-before-seen levels!